+ ORGANIC COCONUT MILK is great for cleansing the skin by removing dirt and excess sebum. At the same time, it helps to keep the skin well hydrated and moisturized as well. 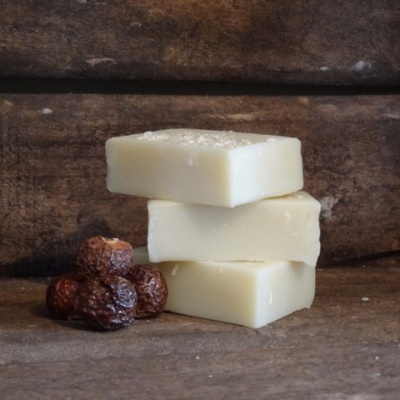 I was quite sceptical about trying a shampoo bar but since my resolution for 2019 is to reduce our plastic usage shampoo without the bottle seemed an obvious step in the right direction. So despite my doubts I gave it a go and I am very pleased with the results! My first time using a solid shampoo bar. Very impressed, easy to use. Left my hair clean and no tangles. Even worked well with my daughter's thick hair. Will never buy shampoo in plastic bottles again!